March | 2013 | Sonic Smash-Music! The R ‘n’ B music group from Palm Beach County, FL known as MarLewTown is releasing their newest EP album on MommaMac Enterprise records, titled, “They Call Us.” The album comprises the most official representation of the band published worldwide, and contains some of the most impressive writing and performing the artists have recorded to date. 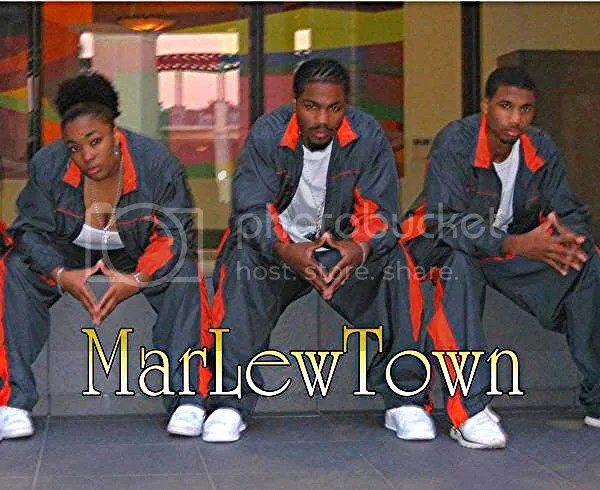 The MarLewTown trio are a crew of siblings, whose stage monikers, “The Coldest,” “The Most,” and “The Fire” correspond to brothers Mello T. and Silva C., and to sister Woosie Kat, respectively. As their new EP clearly demonstrates, each of them is capable of singing and rapping without hesitation or flaw, and their writing exceeds the quality of modern music by a good clip. Artists of exceptional taste and musical capacity, MarLewTown’s seemingly endless talent goes all the way to the bone. MarLewTown’s EP “They Call Us” is available online worldwide beginning April 1, 2013. 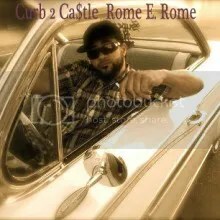 Rapper Romeo Stone has released his latest hip-hop single, titled, “Wut Chu Gone Do Fo A Hunnit?” on Curb to Castle Records (stylized Curb 2 Ca$tle). The single is a rap anthem and music video that features Romeo Stone himself (also often stylized as Romeo $tone) as the star performer, as well as fellow Curb to Castle friends, M.A.D.E. and Joe Davis. The video is now available for viewing on Vimeo as well as other popular online outlets. The single itself is a Romeo Stone (AKA Rome E. Rome) original, who writes his own music, sometimes in collaboration with other artists. The themes of “Wut Chu Gone Do Fo A Hunnit?” are indicative of the hip hop and street lifestyle, regarding the leisurely pursuits of women, cash, and a clutch of Mary Jane. It bears all the slamming, thumping hallmarks of traditional hip hop music, as well as many of the cutting-edge attributes of more contemporary music from the urban underground. Romeo Stone’s beats are heavy, his musical accompaniment catchy and full of rhythm and groove, and he spits his rhymes at a pace only true professionals are capable of delivering with the same precision. This will not come as a surprise to listeners familiar with Stone’s work. Raised in the hip-hop metropolis of Compton, in the same generation and locale which gave rise to godfathers of rap N.W.A., Romeo Stone has worked with industry giants like El Debarge, Johnny J (producer of Tupac Shakur and Biggie Smallz), and Kenny McCloud (Bone Thugs ‘n’ Harmony, Guru, Easy-E) among a slough of others. He names as his most important musical influences the likes of legends such as Ludacris, Lil’ Wayne, Drake, Kidd Inc., and Big Sean. When asked about the message his new single has for fans, Romeo Stone says simply, “Time to hit the dance floor!” which his song has no problem communicating whatsoever. “Wut Chu Gone Do Fo A Hunnit?” by Romeo Stone is available online worldwide beginning April 1, 2013. Cnote, who gained international fame with her wildly controversial band, Bloods and Crips, has released her latest solo rap single, titled, “F. U. Industry N-ggas” on the Salute the West record label. The song is an enraged, yet intelligent indictment of the American corporate music industry, which has been under fire as early as the 1960s for taking advantage of musicians, censoring or blacklisting artists, and for practicing unethical marketing strategies across all genres of music. In “F. U. Industry N-ggas,” Cnote’s voice and fists are raised against fat-cat music industry businessmen in support of all artists, as well as for the music listening public. Musically speaking, her single also raises several modern hip hop standards. “F. U. Industry N-ggas” is no thrown-together project, but rather a work of courageous and home-hitting artistic integrity. 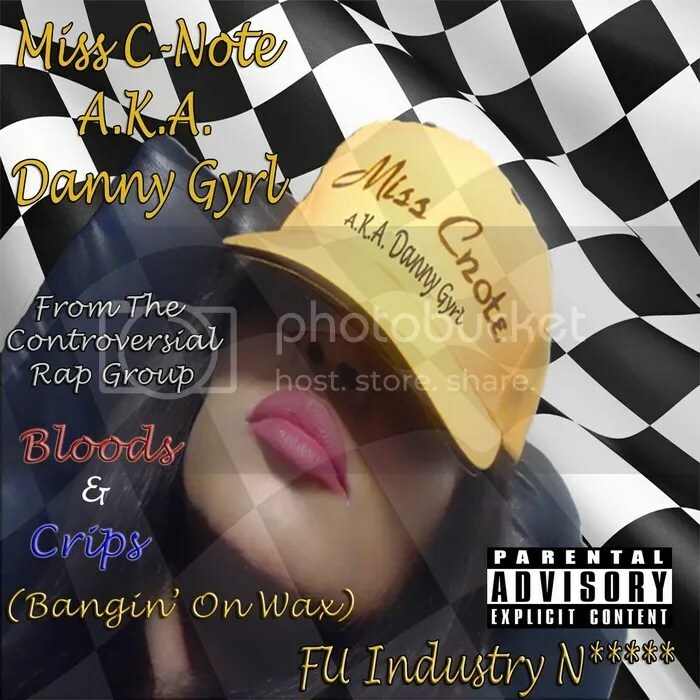 Cnote (AKA Danny Gyrl) is a true poet of the urban underground, each of her lines and rhymes being crafted with the greatest skill and utmost honesty. Her words cut like jagged glass, her chorus pounds like 50-caliber shells from a battleship, each shot aimed directly at the top of the corporate ladder. The back beat is driving and full of groove, yet unobtrusive, the way rap used to be. Enjoining Cnote is a steady, vibrant electric guitar playing licks hotter than the surface of the sun. Cnote’s musical history is storied and braided with music history, itself, her experience with Bloods and Crips cementing her in the chronicles of the underground rap movement. The legendary band was assembled by producer Ronnie Phillips with rappers Redrum 781 and Tweedy Bird Loc in 1993. This seminal rap band, composed of actual inner-city gang members, released two Billboard-charting albums of what would soon come to be called “gangsta” rap. Many of its members are now deceased, and Cnote’s own death was rumored. And as for the music, itself? “As for the album, it will be a street album,” she writes. Indeed, it will – and it will bang on wax, as the famous Bloods and Crips song goes. The single “F. U. Industry N-ggas” is available online worldwide beginning late March, 2013. Cnote’s performances in Bloods and Crips official music videos are also available for viewing online. Her YouTube channel is available at MissCnoteDannygyrl (see especially, “Steady Dippin”). The pianist and composer from St. Paul known as Jennifer Theuer Ruzicka has re-released her 2012 LP record album, “Earth Sky,” on Alchymie records. The album contains eight original tracks over approximately 30 minutes of gorgeous, instrumental music composed entirely by Ruzicka, herself. It is mastered by Chris Graham. “Earth Sky” is primarily focused on piano, but has elements of ambient and experimental electronica, also. These digital attributes serve to blend Ruzicka’s piano pieces into one cohesive, organic whole, adding contour and abstract shape for a listening experience that is full and lush, like nature, itself. Ruzicka’s tone is evenly divided throughout the sonic spectrum, sometimes warm, sometimes cool, but always consistently pleasant, vibrant and alive. The biotic atmosphere of “Earth Sky” is not accidental. Ruzicka, herself, calls her LP an ambient, meditative project that is based on the visual, emotional and sensory experience that both the earth and the sky can impart. 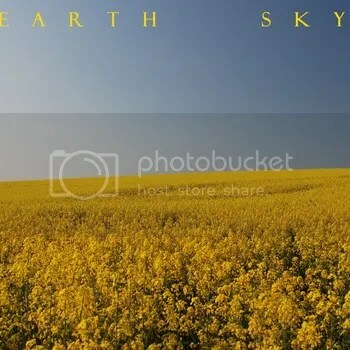 Each of the eight tracks on “Earth Sky” are representative of a natural segment of earth or sky. In order, they are named in Czech (here translated): “Sunrise,” “Clouds,” “Rapeseed,” “Trees,” “Water,” “Poppies,” “Sunset,” and “Stars.” These compositions flow into one another exactly like seasons intertwining, or like the light of the sun passing over the eternally revolving globe. The music of “Sunrise” resonates gradually into a crescendo that welcomes the listener to the rest of the album, while “Sunset” fades into calm like the slowing of a child’s music box, until the sonic space that is left ushers in Ruzicka’s final piece, appropriately titled, “Stars.” The sheer majesty of this finale is not unlike that of the stars, themselves, and like the return of spring after annual snowfall, the listener will almost certainly want to begin the record anew from Track 1 at its placid conclusion. Ruzicka has played and toured for independent and major label artists in the USA and in Europe, such as international R&B recording artist Alexander O’Neal, Paisley Park recording artist David “T.C.” Ellis, and Mallia “The Queen of Funk” Franklin, from the original Brides of Funkenstein. She has also performed with legendary Czech artists such as Pavel Bobek, Ilona Csakova, Karel Sucha, Helena Vondrackova, and the well-known alt-rock jazz group, Laura a jeji tygri (Laura and Her Tigers). She continues to collaborate with artists from the USA, Czech Republic, and England. Jennifer Theuer Ruzicka’s LP record album “Earth Sky” is available online worldwide. Hip-hop veteran Mojo Mayne has released his newest LP album, titled “Born 2 Do It,” on the Sweat Hoggz Music Group record label. The long-playing record comprises 42 minutes of positively airborne hip-hop listening. In addition to nine hammer-heavy, white-hot and thumping original tracks, it includes the hit dance floor anthem, “Got Dat Body,” the single which immediately preceded the release of “Born 2 Do It” in early February of this year. Mojo Mayne’s “Born 2 Do It” is truly an explosive record for midnight dance floors, but it is also a work of great artistic integrity that deserves listening on a personal basis. The record is hip-hop with a heavy emphasis on Mayne’s rhymes. Mayne raps like the honed professional he is atop an ocean of bass-booming back beats and backing vocals. This mix is accompanied by a whirl of additional instrumentation and orchestration that belies Mayne’s own excellent and complex music tastes. Among legends of the urban underground such as Jay-Z, Ludacris, Pharcyde and the Beastie Boyz, Mayne also lists a crew of artists from myriad other genres as main influences: Sinatra, Armstrong, Cooke; The Temptations, The Pointer Sisters, The Commodores; Smashing Pumpkins, Linkin Park, and Kings of Leon. It is partially this lush mix of sound that has produced Mojo Mayne. Mainly, however, it is Mayne’s determination and drive for perseverance in the face of adversity that authors his artistic goals. “I would hope that this album would share a feeling of triumph over the tribulations that crush spirits and dreams,” says Mojo Mayne. Mayne has toured in Atlanta, Augusta, Columbia, and Aiken, as well as in the southwest and other South Carolina locations. He has had relationships with Def Jam South in Atlanta and Octane Records in Phoenix. 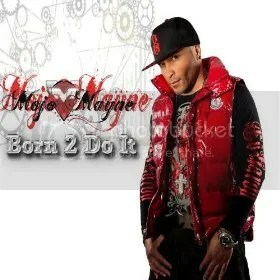 Mojo Mayne’s own high level of excellence, encapsulated in “Born 2 Do It,” is available online everywhere March 26, 2013. The powerhouse rock band from Brooklyn known as She Said Fire has released their newest single, titled, “Funhouse.” The single is an excellent example of what the East Coast has come to love about She Said Fire, being full of the same energy and aggressive creativity that they have been associated with since their inception. It showcases the unrestrained talents of all four band members, giving old fans and new listeners alike a window on what is sure to be remembered as their formative release, the upcoming She Said Fire EP. She Said Fire is predominately a contemporary rock band with some pop and post-emo elements. Their style exemplifies a full, lush sound that is exceedingly dynamic, and surprisingly deep in timbre for a four-piece band with a dedicated vocalist and just one guitar. The She Said Fire tone marries intelligent, complex chord structures and active, precise bass lines to the explosive and intuitive performances of their drummer and singer. Vocalist Joshua Hawksley sings with the verve and passion of a young Axl Rose, blended with the rasping drawl of Tom Waits and the delivery of Dave Grohl. The character of the band is altogether unpretentious and fun-loving, yet ingenious with an abundance of artistic integrity. She Said Fire is the reborn incarnation of NYC-based rock band, The August Infinity, which was comprised of the aforementioned Hawksley, Peter Strzelecki and Chris Moss, and whose “To Whom It May Concern” EP was received with such enthusiasm and anticipation. The addition of Christina Vitucci on drums catalyzed the band and led to the development of the sound encapsulated in “Funhouse,” and the band rechristened themselves as She Said Fire. SSF completed the production of their forthcoming EP through a Kickstarter campaign that successfully ended in early February, and with an excess funding of 15% to boot. Hawksley and Strzelecki can be seen performing a soulful, bluesy acoustic version of “Funhouse” online. 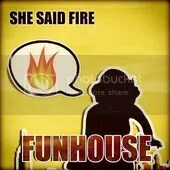 “Funhouse” by She Said Fire is available on iTunes and elsewhere worldwide online beginning March 26, 2013. The Georgia songbird known as Valerie Nichol has released her newest single, titled, “Number One Fan.” The song is an original hip hop romance ballad in the style of Chante Moore, and features the stunningly delicate and precise singing of Nichol, herself. It is the premier publication of Nichol on the MondoTunes worldwide distribution network. On global pop music charts, her song has placed in the top 14 percent of 2.2 million music artists, making her one of Earth’s most popular musicians, as well as one of her most talented. An accompanying music video for “Number One Fan” is also available for viewing online. Valerie Nichol hails from the beautiful sylvan landscape of Austell, GA, where she dedicates herself to creating music whenever she can find the time. While “Number One Fan” denotes her most prominent release to date, it is only the latest in her growing collection of songs. “Number One Fan” by Valerie Nichol is available worldwide beginning March 26, 2013.